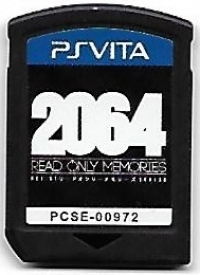 Description: Limited to 2,000 copies worldwide. 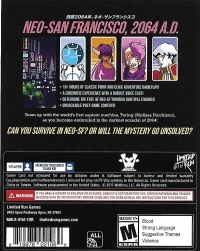 Box Text: Neo-San Francisco, 2064 A.D.
•10+ hours of classicpoint and click adventure gameplay! •A cinematic experience with a robust voice cast! •Determine the fate of Neo-SF through multiple endings! Team up with the world's first sapient machine, Turing (Melissa Hutchison), as you become embroiled in the darkest scandal of 2064! 09-24-2018 frumpleorz Box Text Neo-San Francisco, 2064 A.D. •10+ hours of classicpoint and click adventure gameplay! •A cinematic experience with a robust voice cast! •Determine the fate of Neo-SF through multiple endings! •Unlockable post-game content! 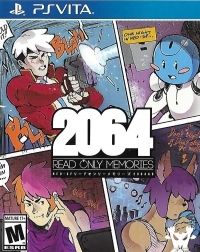 Team up with the world's first sapient machine, Turing (Melissa Hutchison), as you become embroiled in the darkest scandal of 2064! Can you survive in Neo-SF? Or will the mystery go unsolved?